Waterfall Info: This beautiful waterfall is the first of three waterfalls (from the top) on an unnamed tributary of the Middle Fork Broad River, flowing into the river from the west at the north end of Brown Bottoms. 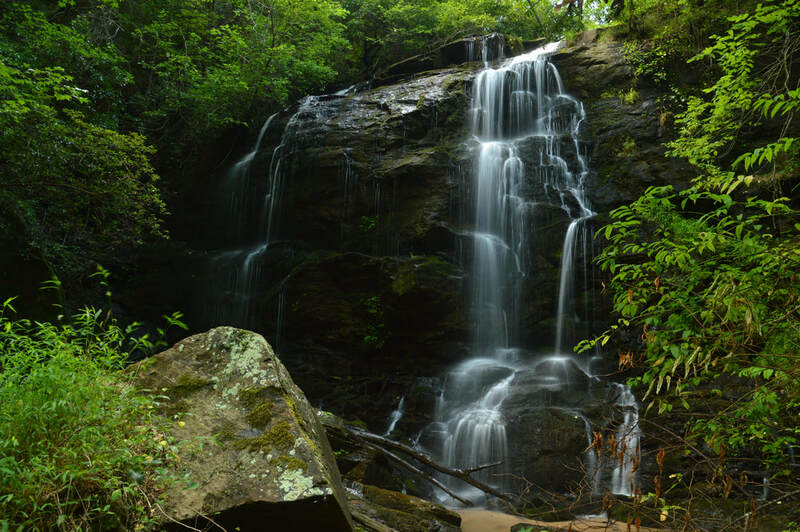 Access Info: This waterfall is accessed by an unofficial trail, 1 mile long, from the gate at the end of Sellers Road. The first part of the hike follows FS 89A.